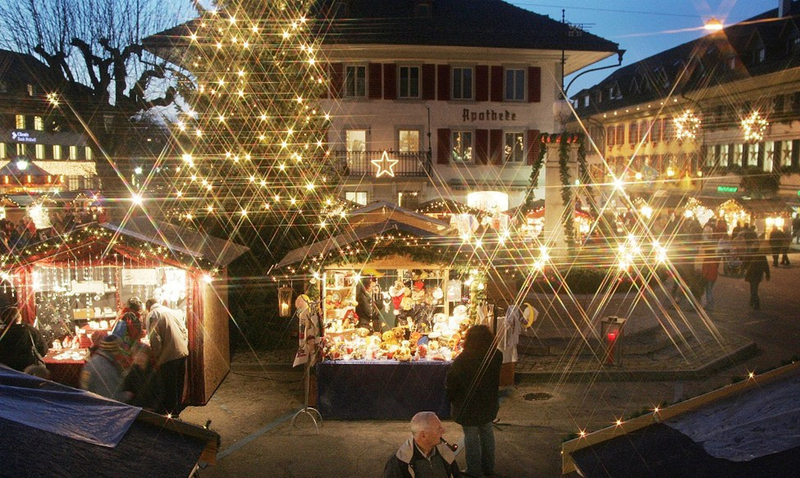 The Huttwil Christmas Market is one of the most famous in the country. It impresses with its extraordinary variety, high-quality products, extensive supporting programme andidyllic scenery. Over the years the market of "Huttu", as the local people affectionately call their small town, has made a name for itself far beyond the region. Every year, the event attracts tens of thousands of visitors to Oberaargau. On site, 100 exhibitors sell their wares in charmingly decorated wooden houses. Yet despite the huge variety, you won’t find any kitsch here: the cozy "gingerbread houses" exclusively stock handicrafts, art, Christmas merchandise and culinary specialities of the highest quality. The Huttwil Christmas Market also offers an extensive supporting programme. Readings, concerts, workshops and fairytales – here both young and old get their money's worth! Another highlight of the Huttwil Christmas Market is the Bethlehem Grotto. It is located in Rosario Martignano's painting workshop, not far from the market stalls. The traditional Italian nativity scene was built over months of precision work and has a large number of striking details. Who can find them all?